As the representative of mainstream thin and light notebooks, HP's ENVY series has been highly praised by users for its exquisite design and excellent user experience. 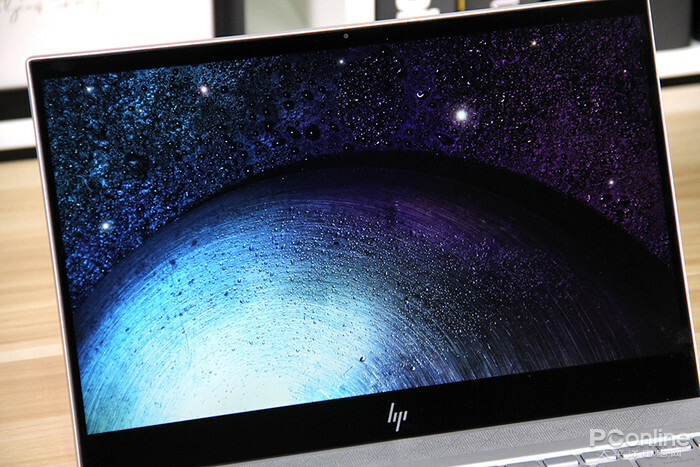 In the context of the homogenization of notebook products, the emergence of the new HP ENVY 13 brings us It’s a different surprise. If you have an impression, you should not be unfamiliar with 'Damascus Knife' because we have already introduced this design in the previous evaluation of HP ENVY x360 (AMD Ruilong processor blessing! HP Envy x360 13 variants this evaluation ), and the newly launched HP ENVY 13 (2018) has brought this concept to the extreme, adding more artistic thinking to product design. 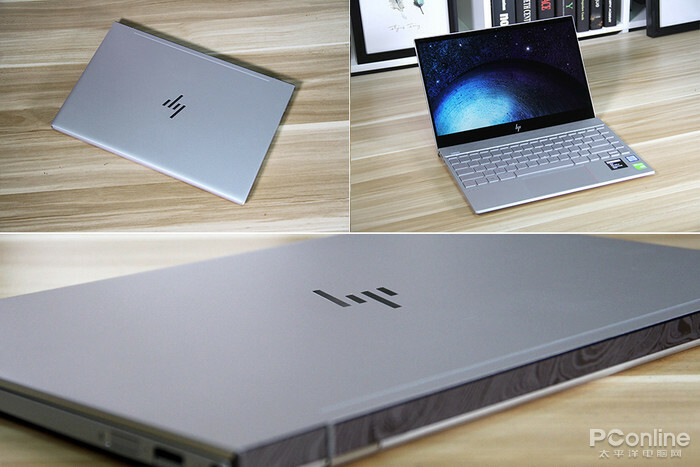 The 2018 HP ENVY 13 continues the ENVY series in its appearance. While retaining the classic elements of metal body, CNC drilling technology, hidden shaft, etc., it also adds more artistic thinking and human care. 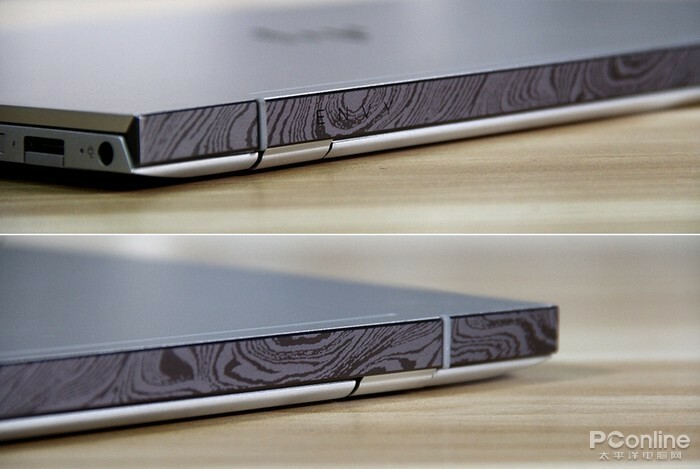 Compared with the previous generation, HP ENVY 13 (2018) has further reduced body size and sharper outline lines, and the new waistline design of Damascus Knife Plus is very individual, which shows the user's distinctive temperament. HP ENVY 13 (2018) uses a 13.3-inch full-screen display with a resolution of 1920×1080, with narrow sides on both sides, 92% sRGB color gamut, showing good results. 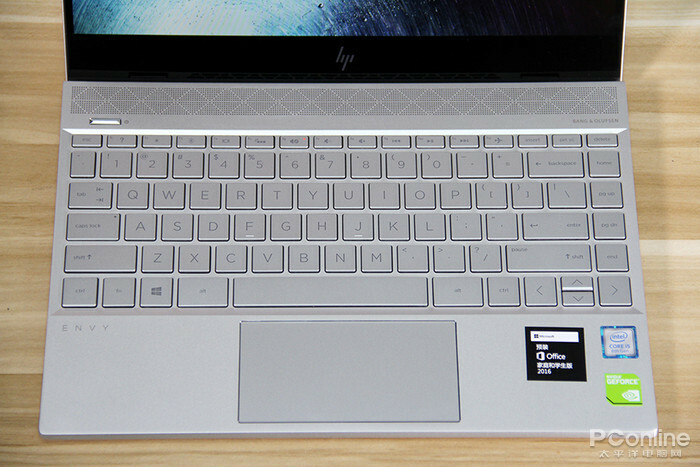 The new HP ENVY 13 continues the backlit keyboard design, making full use of the C-face space, and the input experience is more comfortable, which is consistent with the previous generation. Another obvious change is the interface of the fuselage. 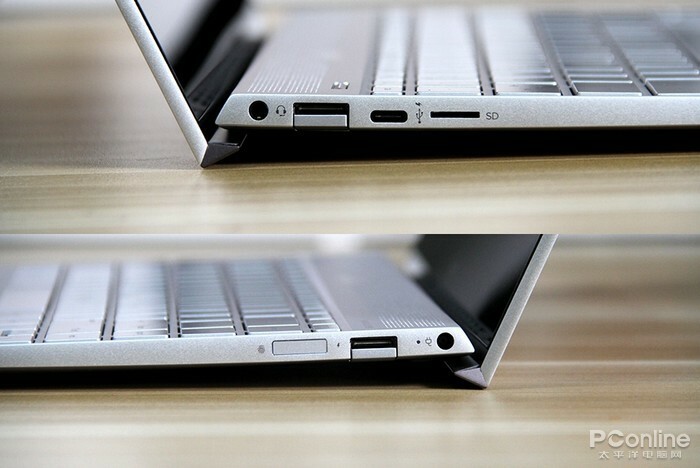 The USB3.0 interface of HP ENVY 13 (2018) adopts an open design, which makes the body more light and thin. While reducing a Type-C interface, it has joined The new fingerprint identification module is more in line with the actual needs of users. 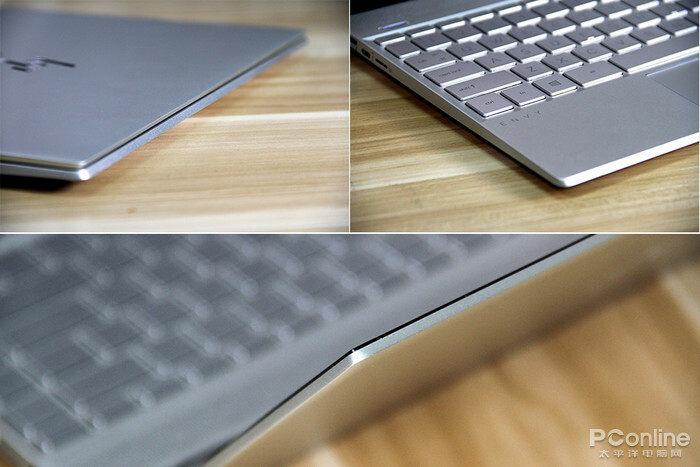 summary: The overall design style of the new HP ENVY 13 has been adjusted. More artistic elements reflect the humanistic feelings of the HP ENVY series, and also make HP ENVY 13 (2018) stand out from many products. Intel's eight-generation Core processor does not need to be described in terms of performance. 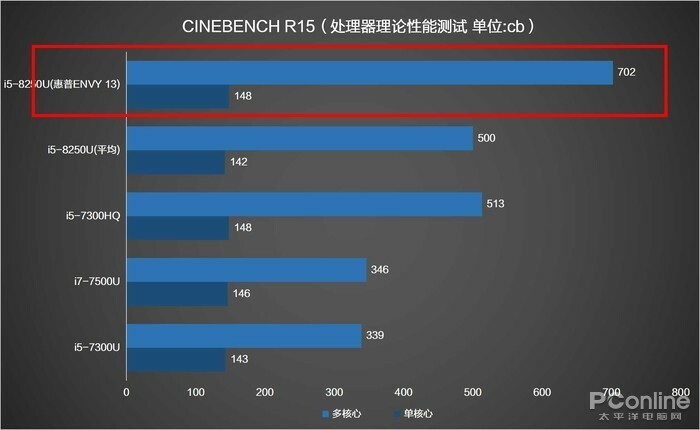 The i5-8250U in the evaluation prototype has excellent performance in performance testing (CINEBENCH R15) (multi-core: 702cb, single core: 148cb), higher than similar products. The average level (multicore: 500cb, single core: 142cb), fully demonstrates the strong performance of the eight generations of Core. 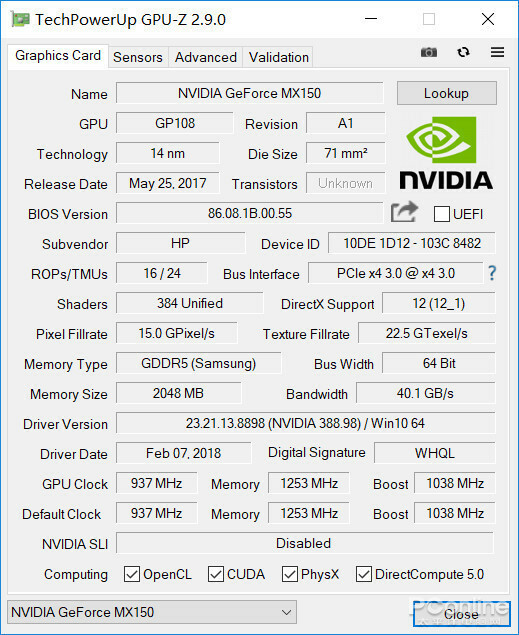 In terms of graphics cards, HP ENVY 13 (2018) uses the 8W version of the MX150 alone. There is a certain gap between the performance and the 25W version, but it brings better battery life and heat dissipation. There is not much problem in meeting the daily needs of users. Storage configuration, the evaluation prototype uses 8GB of memory and 360GB NVMe SSD, is the mainstream configuration combination of thin and light. 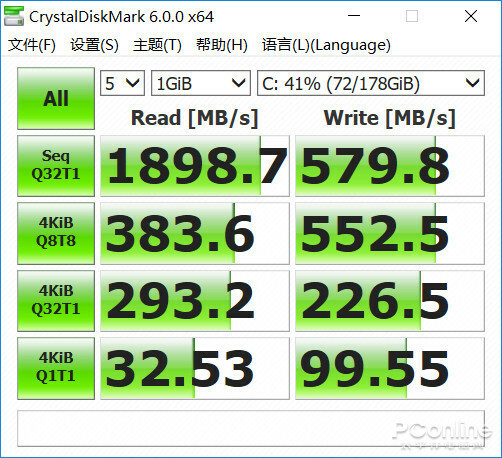 In the solid state drive test (CrystalDiskMark), this 360GB NVMe SSD sustained read speed of 1898.7MB / s, continued The write speed is 579.8MB/s, which is about 4 times that of ordinary SATA SSD, which can bring users a smooth experience. In terms of overall performance, the new HP Envy 13 scored 3,351 points in the PCMark 10 benchmark, with 6830 points (application launch scores, video conferencing scores, web page scores) and productivity of 5,854 points (spread scores). Write scores), digital content production 2554 points (photo editing scores, rendering and visual scores, video editing). Overall performance is good (more than 3000 points), to meet the daily work needs of users. summary: The new HP ENVY 13 has little change in hardware configuration, but the overall performance has improved, giving full play to the potential of the hardware. The portable body of the thin and light notebook puts forward higher requirements for the endurance of the products. 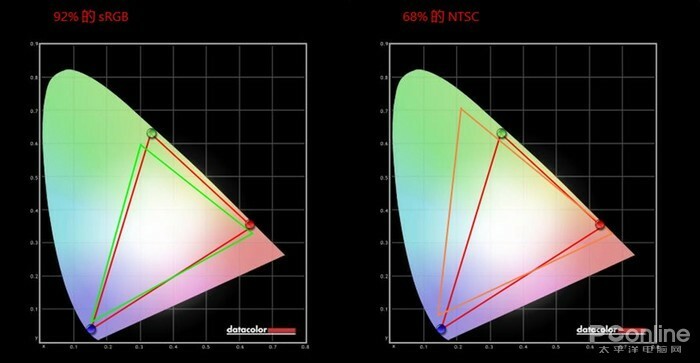 Therefore, in addition to the appearance of the product and the hardware configuration, the endurance is also an important reference indicator in this evaluation. In order to understand this more intuitively. The battery life of the notebook, so we tested the battery life through the PCMark 8 Home mode. During the test, the software will run the test project cyclically until the battery is exhausted, giving a relatively realistic endurance. In the endurance test, HP ENVY 13 (2018) test score of 4 hours and 22 minutes, endurance performance is very good, higher than the average price of the same price thin and light, is also very suitable for travel users. At the same time, it should be noted that the scene of long-term cycling and high load during daily use is not common, so the actual use time is much higher than the following endurance test results. AIDA64 and FurMark are two commonly used copying tools. 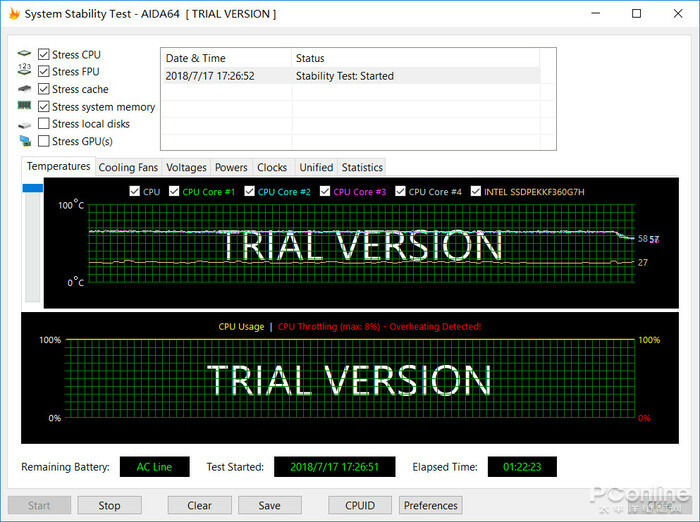 AIDA64 can test the heat dissipation capability of the product through System Stability Test, and provide real-time updated voltage and temperature to monitor the heat dissipation performance of the product. The test prototype continued to run for 1 hour, 22 minutes and 23 seconds with the CPU fully loaded. It can be seen from the image generated by the infrared thermometer that at room temperature of 27-28 ° C, the high temperature region is mainly concentrated near the heat dissipation hole (the highest temperature is 49.4 ° C), which reduces the impact on the C-face keyboard area (average The temperature is 40.6 ° C), the actual use will not be affected by the temperature, the overall heat dissipation performance is good. It is worth noting that the use of long-term high load during actual use is relatively rare, so the temperature in the test results usually does not occur. summary: The HP ENVY 13 excels in battery life and heat dissipation, which is higher than the average of similar products. In order to cater to the mainstream market, more and more notebook products adopt a very similar design style, which leads to the gradual homogenization of many products. In this context, the emergence of the new HP ENVY 13 is eye-catching. While getting rid of the stereotyped design thinking, we can feel more artistic thinking and humanistic care from this product.